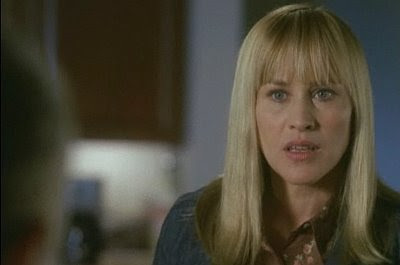 Patricia Arquette as Allison Dubois on Medium, c2009 Grammnet Prod., CBS Paramount. "Psychic drama Medium is heading into its sixth season, a crucial time when a series has the potential to wear out its welcome or go off the rails with too many new "twists". Medium has the additional challenge of being moved to a different time slot–on a different network. While the lead-in from similarly themed Ghost Whisperer could prove to be a bonus for Medium, only time will tell how good a dreaded Friday night slot will work out..." Read the rest at TVOvermind! Check back often for new blog posts and articles! You can always find links to my latest articles in the right sidebar, or click on My TV Articles at AC in the left sidebar to find the monthly posts with full listings of my entertainment reviews.